Yoga pants 93% cotton / 7% elastane. 3/4 length that stops mid-calf. Yoga leggings with high waistband that can be folded down. 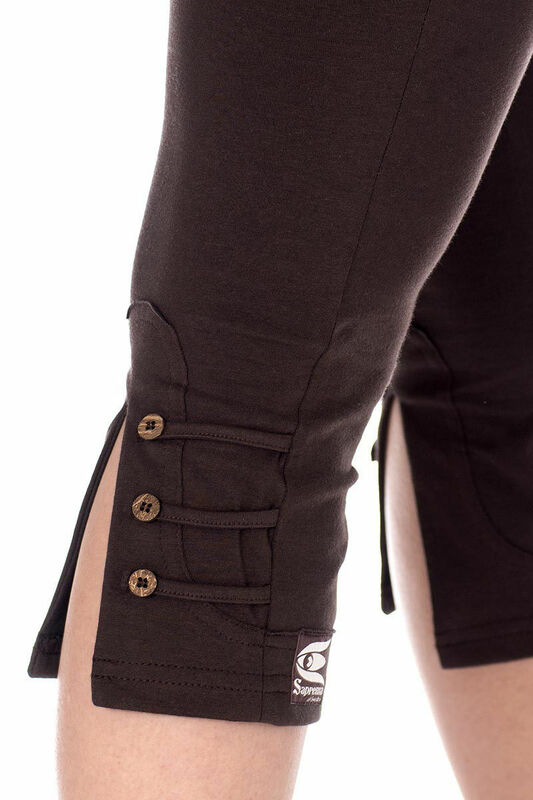 Details at the bottom of the leg, a slit at the back with buttons on the side. Yoga clothing that is also suitable for everyday use. This pant is often purchased together with the Durga singlet in turquoise. Saprema with love for yoga, dance and movement!